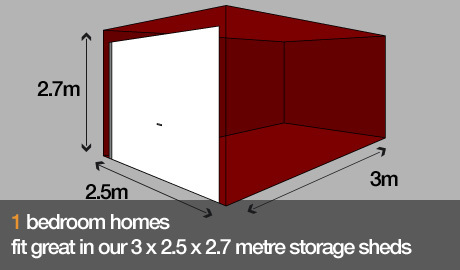 If you are looking for a safe, secure and clean storage space option on the Gold Coast then you need to check out Currumbin's All Size Sheds. 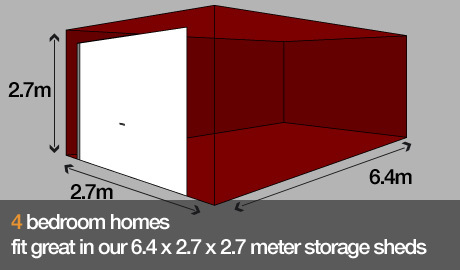 When it comes to storage units there are quite a few things that you need to know for sure. Security: This is one of the strongest areas of our storage facilities as we appreciate the need for secure storage of your possessions so you can carry on with life without worrying about their safety. Our storage facilities are securely gated which is more than the initial visual deterrent it provides. Entry to the facility is only possible with the use of a sophisticated electronic pass system. The property is monitored by electronic surveillance cameras and if all that is not enough we have a live-in caretaker to provide that next level of security. Cleanliness: Our self storage facilities are maintained to the highest standards. Each of our storage sheds are thoroughly cleaned between occupants and all are regularly fumigated to create the best opportunity to keep your possessions remaining pest free. Value: A key to our business is the ability to match your specific storage requirements to the right sized storage unit that will ensure you are not paying for storage space you are not using. We are an owner operated family business that keeps the service personal and friendly. We are a leading provider of storage units on the Gold Coast and amongst the best in Tweed Heads, Robina. As well as this we offer a price match guarantee so if you see a good price on storage units elsewhere we will match that price. 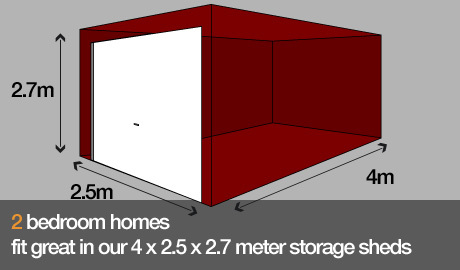 For more information on storage sheds and other storage solutions contact All Size Sheds today on (07) 5534 7181.